Our 7’ high Benner’s Gardens Advantage Light Deer Barrier Netting is a low cost alternative to our fencing rolls. This economical lightweight netting comes in 7’ high rolls and 100’ long. Our Benner’s Gardens Advantage Light Deer Barrier Netting is perfect for seasonal protection of flowers and bushes for areas with light deer pressure. 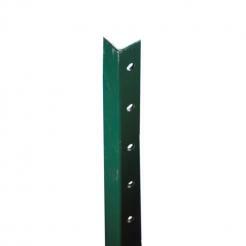 Don’t forget to buy all the accessories you will need to for an economical Deer barrier on your property. 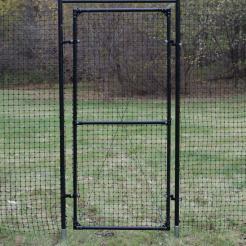 7’ x 100’ Lightweight Deer Netting is has a 240 lb breaking strength per foot. This lightweight deer netting is recommended mainly for use around shrubs or small trees. This netting can also be draped over plants and across planters. Each roll of this netting weights 8.5lbs, and the dimensions of the mesh size is 0.6” x 0.8”. For best results use around shrubs, trees, plants, or small areas where deer are unwanted. It is easily removable when seasons are changing and protecting plants is no longer necessary. This particular netting can also help against some unwanted birds and rodents.